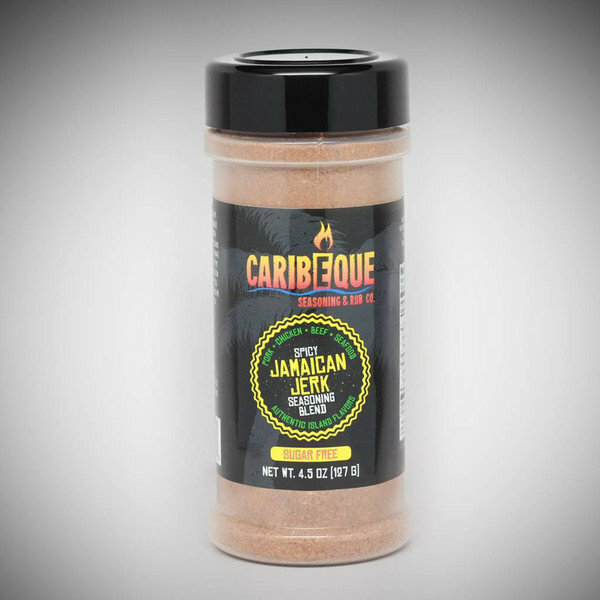 Our Spicy Jamaican Jerk seasoning blend is sugar free and the entire Caribeque line is gluten free, MSG free, and low sodium. We do not add any anti-caking agents to our product, so they are 100% natural spices that will liven up every meal. We hope you enjoy our products as much as we enjoy sharing them with you!